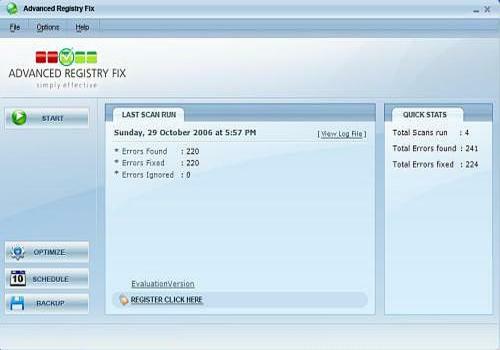 "Advanced Registry Fix is an awarding winning easy to use tool designed to safely scan and repair Windows Registry problems with a few simple mouse clicks! Advanced Registry Fix checks and fixes all errors found in your Computer Registry that slow down and even crash your computer. It will even automatically repair invalid entries at Windows start-up. Use Advanced Registry Fix to automatically scan, fix and optimise your computer registry."